Right, so FM transmitters are generally terrible. Not just because they sound worse than direct line-in connections and even tape adapters, but because they're a pain to control. Belkin has solved at least one of these problems, for iPhone users. 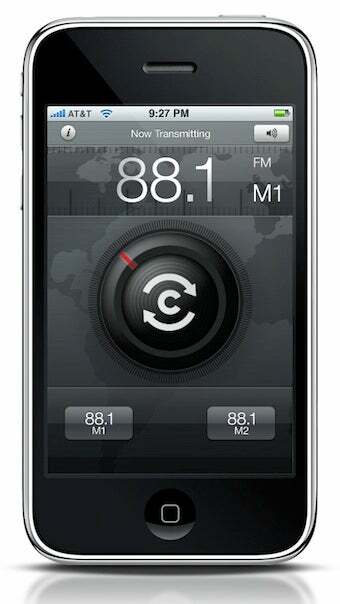 As promised, the Belkin TuneCast Auto Live transmitter, seen below looking like pretty much every other Belkin FM transmitter ever, has a single, massive trick up its sleeve: an iPhone app that actually controls it. It basically turns your iPhone into a smart remote for your transmitter, which doesn't just modulate your broadcast frequency but actually finds the best one, and which in concept seems kind of backwards, but makes plenty of sense. It's digital + analog - car crashes! Got it.